If you live on the East Coast of the United States, just close out this email. You will hate me I’m sure. For my friends in the midwest? You probably should do the same. It was 87 degrees here yesterday! Yup, spring is here a week early in the valley! This time next week and it will officially be spring, yay! I have to say I do not miss living in the midwest. I miss the people yes, but the weather… not in the least! Living in the valley definitely has it’s bonuses! Fresh broccoli from the farmers market in March – gotta love that! Fresh vegetables just don’t need too much fuss, don’t you agree? Like my recipe for Roasted Carrots with Mint or 3 Ingredient Steamed Green Beans – simple perfect and delicious! Earlier this week I stopped by a roadside farmers stand and was surprised to see broccoli. This is the first broccoli of the season and it is soo good. First, I was going to make some soup. However, since the weather was so nice we decided to grill, so roasting the broccoli definitely was the way to go. It was super easy – first I cleaned it really well, washing it several times. I used my salad spinner to dry it. I wanted all of the water gone because when I put it in the oven I wanted it to roast, not steam. Separate the spears so they roast evenly. 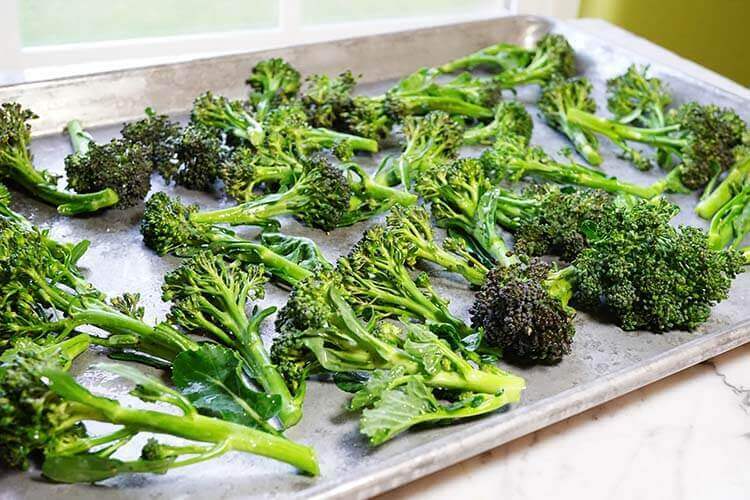 After drying them off, I put them in a small bowl and seasoned the broccoli with olive oil, salt and pepper – that’s it! Then I lightly coated the roasting pan with a spray of non-stick coating and spread out the spears so they roast evenly. 400 degrees – 10 minutes and they were done! Finish by grating some lemon peel over the broccoli and adding a squeeze of lemon right when it comes out of the oven. 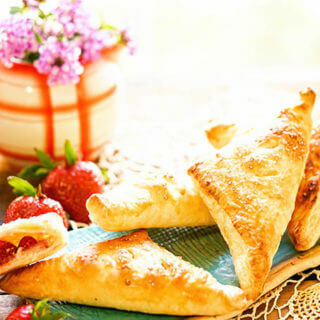 Easy, perfect and delicious! 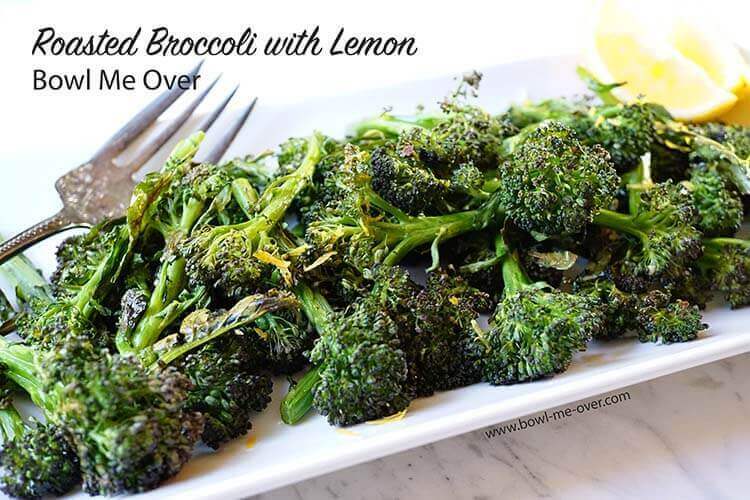 Roasted Broccoli with lemon is an easy side dish and completely delicious! So even if your farmer’s market aren’t open yet you can still have this amazing side dish. 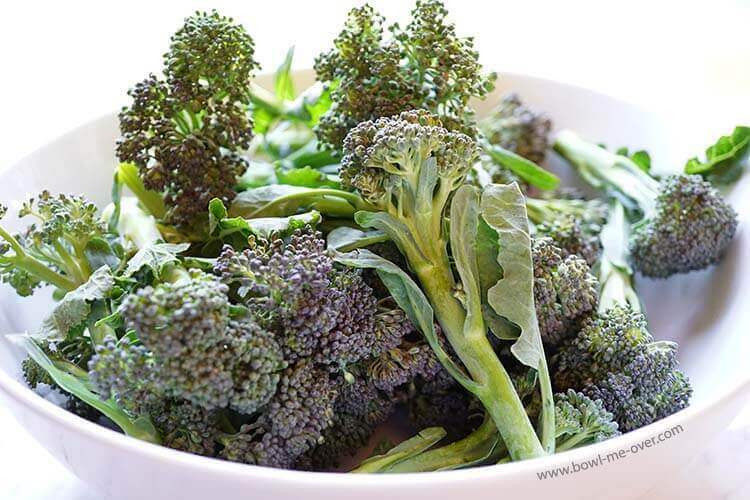 Use broccolini or slice the broccoli into small florets. 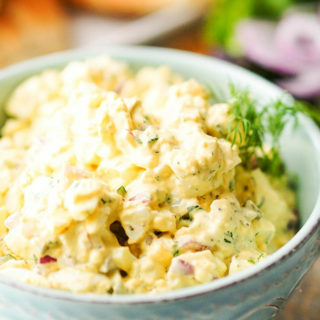 Your cooking time may vary, but you can still enjoy this super easy side dish. 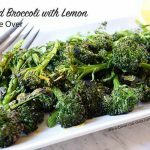 Love roasted broccoli and topping it with fresh lemon gives it a super bright flavor and fresh taste! 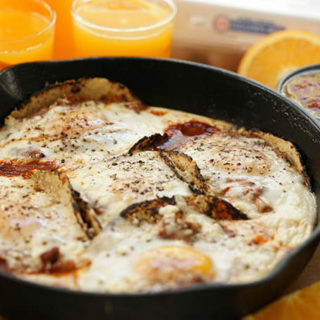 Use an aluminum sheet pan (not non-stick), cast iron or Dutch oven – that’s how you’ll get even browning, caramelized edges and flavor. More of my favorite Vegetable Side Dishes! 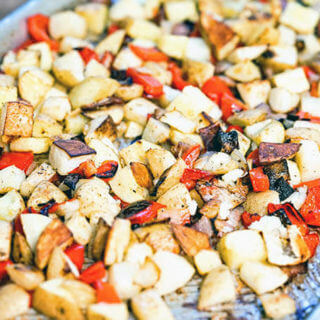 Do you roast vegetables? I love roasted broccoli! 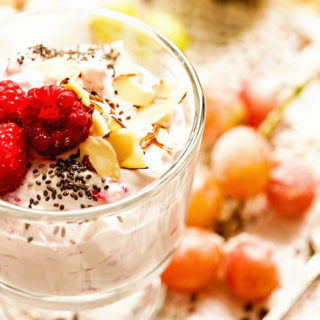 Topping it with fresh lemon gives it a super bright flavor and fresh taste! Wash & clean the broccoli well. Also, dry it completely (you want it to roast, not steam). A salad spinner works great for this. Add a spritz of non-stick coating to the baking sheet or cast iron skillet. Add the olive oil, salt & pepper to the broccoli and mix well to combine. 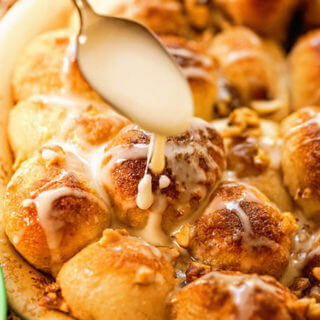 Pour on the baking sheet and tuck it into the preheated oven for 10 minutes. Depending on the size of your broccoli it will take 10 to 15 minutes to roast. When roasting is complete, remove it from the oven and place it on a serving dish. While the broccoli is still hot, sprinkle with grated zest from the lemon (just the yellow part of the skin!) and finish with a squeeze of lemon. Serve additional lemon wedges on the side if desired. I know huh? It was crazy here this week. Looks like we’ll be getting a cool down next week though and maybe a little more rain? That would be good – enjoy those veggies Debi! Thank you so much for taking the time out of your busy schedule, I so appreciate it! 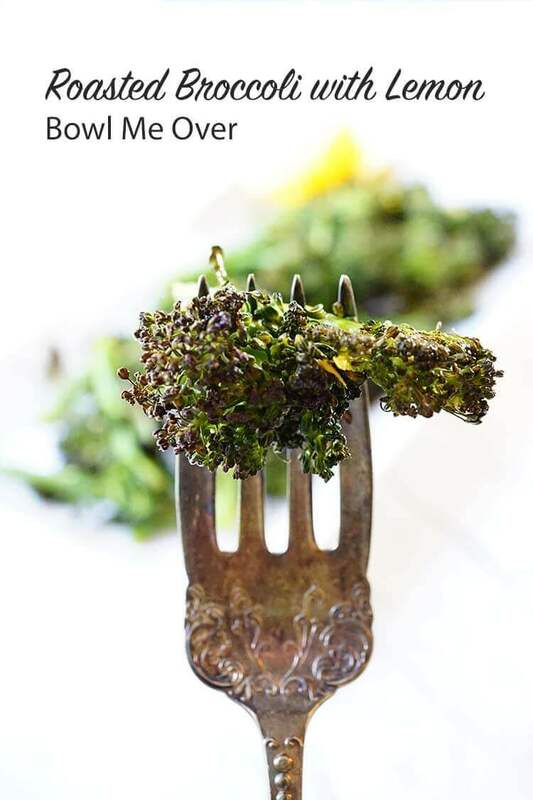 You will LOVE this broccoli and so easy too, gotta love those simple, delish sides! Have a great week my friend!! I totally DO hate you. Just kidding. Lol. But seriously, I could use something green right about now. We’re still covered in snow and months away from broccoli! My younger daughter loves broccoli prepared like this. She’ll devour her serving and ask for seconds. It’s like magic! Hahaha! Love it Katie!! We’ll be wishing we were your way during the heat of the summer I’m sure! Glad to hear there are more broccoli eaters out there – enjoy!! 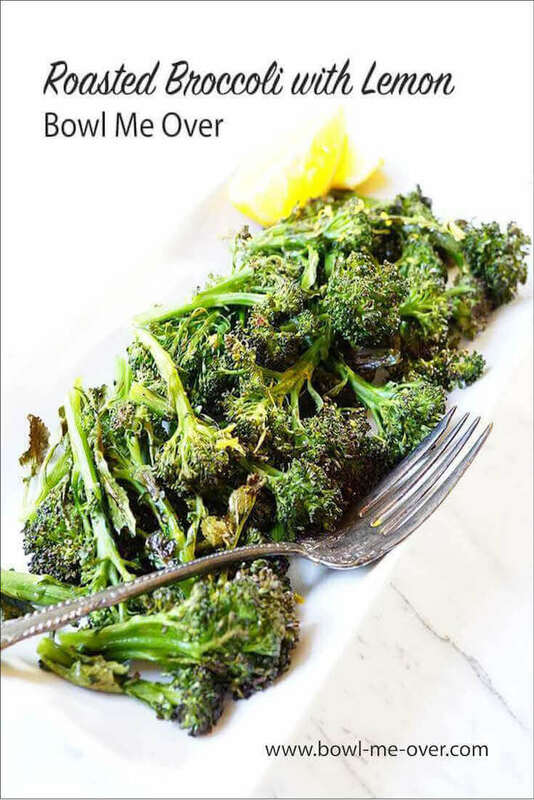 I love roasted broccoli and this recipe sure seems like it won’t disappoint. This looks so good and I can almost taste the lemon. Yummy! Thanks Luci – such a bright and light bite!! It’s warm here in Arizona too. I’m loving every minute of it! This broccoli looks like the perfect light and fresh way to ring in spring! Yes, yes and yes!! Glad you’re enjoying this beautiful weather Allison!! Love simple side dishes like this! So easy and delicious. Me too – no reason to make mealtime complicated. Thank Raia! We love roasted broccoli! You can’t beat that caramelization from the high heat. Speaking of heat, it’s nowhere near 87 degrees where I live! Enjoy it! Oh yes, loving every minute of it Andrea! Roasted broccoli is so yummy – thank you!! Lovely to see you showcase early sprouting broccoli, one of my favourites of the late winter brassicas. Love those tender delicious veggies – thanks Kavey! I love roasted broccoli. I can’t wait to add the lemon! Thanks Dorothy, I hope you like the combo – simple, but really brightens the flavors! I’m at the beach here in L.A and we are having the best weather. Roasting broccoli is the best way to prepare it in my book and I lemon really is the best addition. Enjoy that beach weather Janette, that sounds wonderful and enjoy those veggies!